Chartered in 1975 the Zonta Club of our Northern Beaches brings together the intelligence, energy and acumen of some of our beaches’ great women. With members who are professionals in academia, nursing, accounting, the law, small business, book editing, information technology, music, optometry, economics, administration, medicine, art, fitness and real estate, the range of knowledge and experience represents the infrastructure of community itself. Pittwater ladies Dorothea Mackellar and her best friend and frequent visitor Ruth Bedford were among those to establish a Zonta Club in Sydney during the 1920's and although this had to be re-established a few decades later, women supporting women has long been part of the Australian ethos. On Australia Day 2012 the ZCNB International Women’s Day Breakfast was awarded a ‘High Commendation’ award for the Pittwater Council Community Event of the Year. This year’s breakfast announced Cr. Patricia Giles as the Pittwater Woman of the Year, recognising decades of service to community and Pittwater people in honouring this lady. Cr. Giles expressed feeling overwhelmed in joining the ranks of women who have previously received this award but with service to others forming integral part of all Zonta Club activities, Patricia represents a great example. Zonta was first formed in 1919 in Buffalo, New York, by journalist and playwright Marian de Forest who envisioned a network of women working to support each other in establishing themselves in their chosen professional careers in what was a male dominated workforce. In the States women were only just getting to vote and graduate from Colleges, their status and rights were still being determined by men. 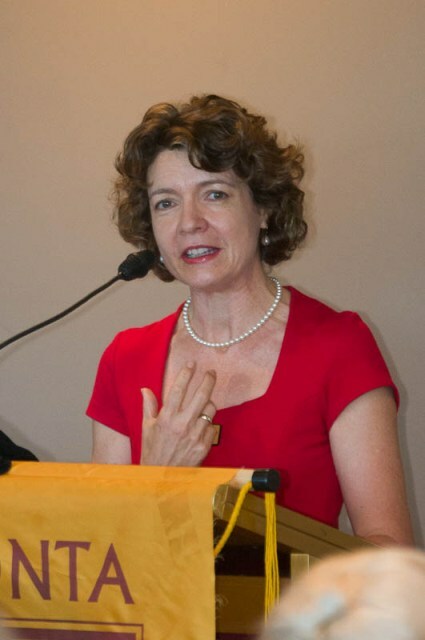 This week Dr. Yvette Blount, Coordinator of Undergraduate Programs of the Department of Accounting and Finance Macquarie University and President Elect for the Zonta Club Northern Beaches, assists us with a few insights into their local works. How many Zonta clubs are there worldwide ? In May 2012 the WHO (World Health Organisation) has estimated that approximate 1000 women die each day from childbirth (HERE ). District 24, Zonta Club of Northern Beaches, contributes to making Zonta Birthing Kits which may prevent deaths and disease. What is in these and how do they work? Our main international hands on project is the birthing kits that are assembled in Australia and shipped to women in the developing countries under an education program with hospital support. 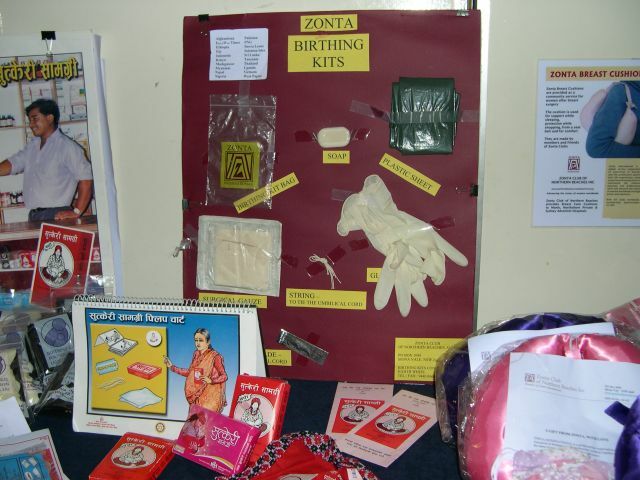 Our club has a very strong record in making Zonta birthing kits. Each year, up to 8000 birthing kits are assembled with a great deal of community involvement and member fellowship. A Birthing Kit works by providing the 7 cleans for a clean birth: Clean birth site - preventing delivery onto the floor, Clean hands - to prevent the birth attendant transmitting germs to mother and baby, Clean ties - to prevent bleeding from the umbilical cord for mother and baby, Clean razor - to reduce infection caused by other implements, Clean gauze - to wipe away birth canal secretions from the eyes, which decreases future eye infections, Clean umbilical cord - washing and drying the stumps prevents infection, Clean perineum. They contain a 1m x 1m plastic sheet for the mother to lie on, a piece of soap, 2 gloves, 3 gauze squares, 3 cord ties or 2 clamps and a sterile scalpel blade. All of this is contained in a small press seal plastic bag and costs $2.00 to produce and transport. How do you support women in the local community? Advancing the status of women in our local community (Northern Beaches) involves projects that assist women with further study (study grants and student support grants), health (breastcare cushions) and supporting women and children who have suffered domestic violence (supporting the refuge). This is relative in terms of Zonta’s working for the health status of women. We are great supporters of the Zonta breast care cushion project and also the birthing kits, which are both District 24 endorsed Service Projects. The breast care cushions – silk cushions which are a great comfort to women who have undergone breast surgery -- are made by members and also by women in the local community, and are given free of charge to hospitals in the area, such as Mona Vale Hospital, North Shore Private, Manly Hospital and the San (Sydney Adventist Hospital). Since 2005, our club has made and distributed approximately 1100 cushions. In advancing the educational status of women, our club administers and finances a number of projects that support women in the local community. We award study grants worth several thousands of dollars, and pay for textbooks and computer equipment. Study grants enable local women to access tertiary education and improve not only their own lives but those of their children. We also make student support grants to young women in Years 11 and 12 at local schools who are having difficulties at home. Our club has formed a strong and close relationship with the Northern Beaches Women’s Resource Centre (often called the ‘Women’s Refuge’) and through this, we help women and their children who have been affected by domestic violence. We improve their economic status by donating new household items and paying for the children’s swimming lessons, after-school care, support tuition and ‘back to school’ kits. 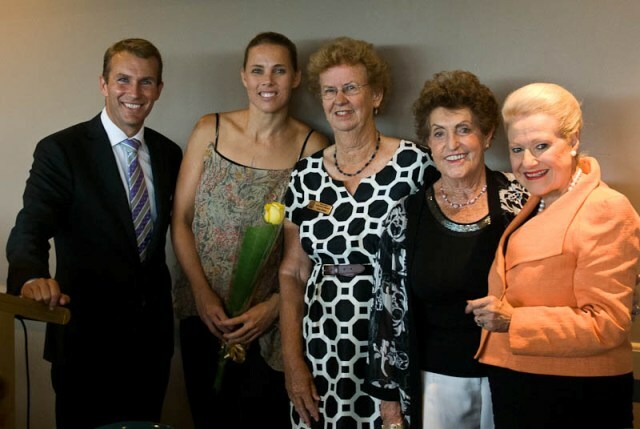 How many are involved in voluntary works through Zonta here on the Northern Beaches ? We currently have 24 members in our club and many others in the community who join us to help out; to support our projects, our club needs to raise money. This money is in the form of grants and fund raising. Dee Why RSL have been very generous in providing money that we have used to support our study grant and student support recipients. Fundraising is through our annual Trivia night at the Mona Vale Memorial Hall July 14th – theme is Bastille Day 2012, the IWD breakfast (8 March), Australia Day Breakfasts (in conjunction with other service clubs) and other fun activities. This year we are having an Evening with Stylist which will be a night of Fun, Fashion & Style. This will be on Friday night 7.30, 7th September at the ‘Freshstart Gym’ function room. You have a dinner every 4th Monday. What happens at these; do you have a speaker, discuss projects and Programs updates or...? We have a monthly meeting at the Dee Why Master Builders Club, on the 4th Monday of each month. We generally have a guest speaker except for some meetings such as the AGM. The meeting has a formal agenda and minutes, each committee reports on their activities, members make decisions such as how funds will be spent and we discuss projects and progress. What is the Club’s ‘motto’ or a phrase they aim to work by? The club's motto is Advancing the Status of Women - this is our mission statement. Copyright Zonta Club of Northern Beaches, 2012. All Rights Reserved.